The most fundamental privacy principle we follow is that by default, anything you post to BistroChat is private to your user. That is, viewing the messages and files shared within a specific user requires authentication as a member of that user. BistroChat is the custodian of data on behalf of the users that use BistroChat. We don’t own user communication data. Users own their data. They like it that way and so do we. This policy describes how BistroChat treats your information, not how other organizations treat your information. 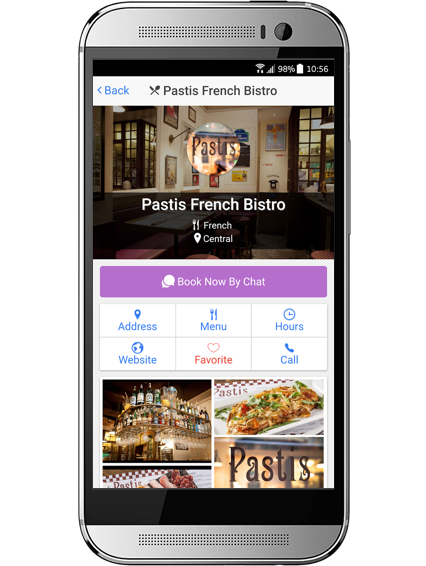 If you are using BistroChat in a workplace or on a device or account issued to you by your employer or another organization, that company or organization likely has its own policies regarding storage, access, modification, deletion, and retention of communications and content which may apply to your use of BistroChat. Content that would otherwise be considered private to you or to a limited group of people may, in some cases, be accessible by your user owner or administrator. Please check with your employer, user owner or administrator about the policies it has in place regarding your communications and related content on BistroChat. More on this below. In this policy we talk about various roles within a BistroChat user and the privileges that come with each. It’s helpful to understand these roles and the relationships between them. Here’s the breakdown: primary owner > user owner > user administrator > user member. Primary owners have the most control over their user’s settings on BistroChat, followed by user owners and then user administrators. The person who establishes the BistroChat user is considered the primary owner with the most control over the user (which is why it’s not a good idea for this person to be a contractor or temp employee). users can have more than one owner, but only one can be the primary owner. Primary ownership can be transferred to another member after the user is created (see prior note about temp workers and flaky people). All user owners are administrators, and all owners and administrators are also user members. user information. When you create a user on BistroChat, we collect your email address (as the user owner), your user name, BistroChat domain (ex: your-user-name.BistroChat.com), your user name that appears in your BistroChat user, and password. Optionally, you can provide an email domain to allow people on that domain to sign up for your user without an invitation or individually add email addresses for people you’d like to invite to your user. Account and profile information. The only information we require to create your BistroChat account is an email address and password. Optional information you can enter into your profile includes information such as your first and last name, what you do, your Skype username, and your phone number. Your user owner(s)/administrator(s) may request you to provide additional information about yourself in your profile, and BistroChat has no control over such additional information collected. Any information you add to your profile is visible to other people on your user as described on your profile management page. Billing information. If you purchase a premium version of BistroChat, our third party payment processors will collect and store your billing address and credit card information. Log data. When you use BistroChat, our servers automatically record information, including information that your browser sends whenever you visit a website or your mobile app sends when you’re using it. This log data may include your Internet Protocol address, the address of the web page you visited before coming to BistroChat, your browser type and settings, the date and time of your request, information about your browser configuration and plug-ins, language preferences, and cookie data. Log data does not contain message content and is not routinely deleted. Device information. In addition to log data, we may also collect information about the device you’re using BistroChat on, including what type of device it is, what operating system you’re using, device settings, unique device identifiers, and crash data. Whether we collect some or all of this information often depends on what type of device you’re using and its settings. Geo-location information. Precise GPS from mobile devices is collected only with your permission. WiFi and IP addresses received from your browser or device may be used to determine approximate location. BistroChat usage information. This is information about which users, channels, people, features, content, and links you interact with within BistroChat and what integrations with related services you use. Service integrations. If you integrate with a service on BistroChat we will connect that service to ours. Depending on user settings, user members may be able to add integrations to a channel or direct message conversation. Those integrations are viewable and maybe removable by the administrators, owners, or designated users. We do not receive or store your passwords for any of these services. If you add an integration, the third party provider of the integration may share certain information about your account with BistroChat. BistroChat is not responsible for how users may use and collect data through integrations. An integration can be removed at any time. Removing an integration unbinds that integration on a go-forward basis. That does not, however, delete the content that was received from the integration and indexed within BistroChat. That content must be deleted manually. 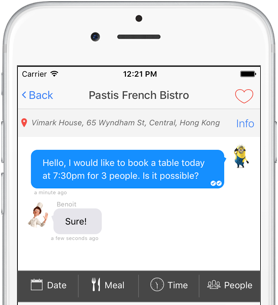 Communication content that you send and receive within BistroChat. This includes: The message content itself. This content can include messages, pictures, files and video among other types of files. When messages or files were sent and by whom, when or if they were seen by you, and where you received them (in a channel or direct message, for example). Information from partners or other 3rd parties. BistroChat may receive information from partners or others that we could use to make our own information better or more useful. This might be aggregate level information about which IP addresses go with which zip codes or it might be more specific information about how well an online marketing or email campaign performed. Cookies are small text files sent by us to your computer and from your computer to us, each time you visit our website. They are unique to your BistroChat account or your browser. Session-based cookies last only while your browser is open and are automatically deleted when you close your browser. Persistent cookies last until you or your browser delete them or until they expire. Some cookies are associated with your BistroChat account and personal information in order to remember that you are logged in and which users you are logged into. Other cookies are not tied to your BistroChat account but are unique and allow us to do site analytics and customization, among other similar things. If you access BistroChat through your browser, you can manage your cookie settings there but if you disable all cookies you may not be able to use BistroChat. BistroChat sets and accesses our own cookies on our company-owned domains. In addition, we use 3rd parties like Google Analytics and Localytics for website analytics. You may opt-out of third party cookies from Google Analytics and Localytics on their respective websites. We do not currently recognize or respond to browser-initiated Do Not Track signals as there is no consistent industry standard for compliance. Providing the BistroChat service. We use information you provide to authenticate you and deliver message content to you and from you Understanding and improving our products. To make the product better we have to understand how users are using it. We have a fair bit of data about usage and we intend to use it many different ways to improve our products, including research. This policy is not intended to place any limits on what we do with usage data that is aggregated or de-identified so it is no longer tied to a BistroChat user. Investigating and preventing bad stuff from happening. We work hard to keep BistroChat secure and to prevent abuse and fraud. Solving your problems and responding to your requests. If you contact us with a problem or question, we will use your information to respond to that request and address your problems or concerns. In-product communications. 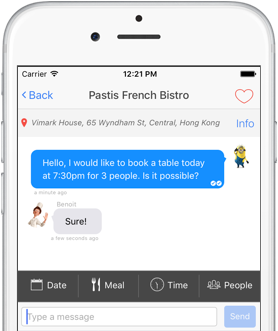 We may use the information you provide to contact you through BistroChat using BistroChatbot or other in-product messaging tools. For example, if, after, a few weeks of using BistroChat we notice that your notification setting is set to notify you of all messages, we may send you a BistroChatbot message that suggests you change this in case you are getting too many notifications. This is just one example of how we use information about your usage of the product to make suggestions to you. Email messages. We may send you service and administrative emails, such as when we notice that you are nearing a message or integration limit. We may also contact you to inform you about changes in our services, our service offerings and important service related notices, such as changes to this policy or security and fraud notices. These messages are considered part of the service and you may not opt-out of them. In addition, we sometimes send emails to BistroChat users about new product features or other news about BistroChat. You can opt-out of these at any time. Your choices. When you use BistroChat, you have control over a number of things with respect to your own privacy and choices about how your content is visible to others or not. If you are a BistroChat user owner or administrator, you have additional choices that impact your user’s privacy. Some members will not have access to all of the same choices that their user owner(s) or administrator(s) do. That is because BistroChat is set up to be user-oriented, and provides user owners with the maximum ability to control their users. 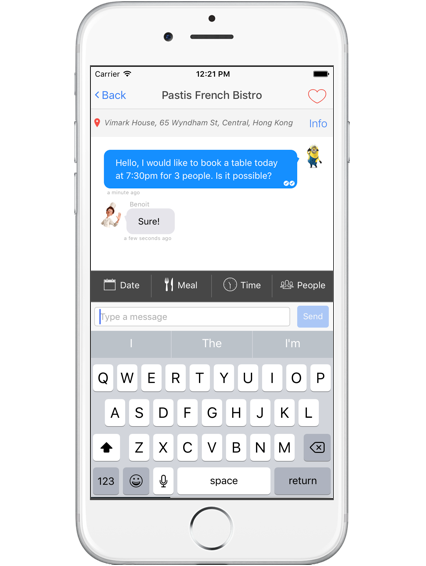 BistroChat offers different options for message retention and export to user owners and administrators, depending on the level of service they have signed up for. These service levels are likely to change so please see our page to learn more about which features are associated with which level of service. Message retention setting options vary by service level from very general to very specific. The default for all users, both free and premium, is that messages are retained for as long as the user exists unless they are deleted by the user or administrators, and that users can edit and delete their own messages at any time. Following Hong Kong law. Premium level users can modify their user settings to shorten the duration of retention, make very specific retention setting modifications on a per-channel basis, and change settings to store all message edits and to retain messages that users have deleted. Please see our FAQ for more specific information about what options exist for different user service levels. You can view your user’s message retention settings at any time via Your user Settings. Message Exports Administrators of all users, both free and premium, can export their user’s messages and files that are shared in channels. Message history for private channels and direct messages is not included in this. Only owners for users who have signed up for the appropriate level of BistroChat service and have enabled Compliance Exports can export their user’s private channel's messages, private channel's shared files and direct messages. Compliance Exports may include message edit and deletion history. For more information about your user's export options, please visit Your user Settings Choices for user Members. If you are a member of a free user, you may deactivate your account. Deactivation of an account disables your access to the BistroChat user associated with that account but does not delete your profile or content, which are considered part of your user’s data. Whether you can delete your message content depends on your user’s settings. In addition, a record of edits and deletions may be retained by your user, depending on the service level of your user and your user’s settings. Please see our FAQ for more detail. While you cannot completely delete a profile once it is created, you can update your profile information at any time and modify your email settings. You can also change your user name from time to time. When you upload a document or a file on BistroChat, you can decide where to share it and with whom. You can also share documents with your entire user or in a private channel. You can also share them externally by creating a public link if you choose. Files are not subject to message retention settings but can be deleted at any time by the person who uploaded the file or by user administrators. Choices for user Owners and Administrators. Administrators have the ability to manage and change most of the user settings, including message retention settings, and can modify whether or when user members can edit or delete messages. Administrators can also deactivate member accounts for their user. Only a primary owner can deactivate or delete a user. Other Choices The browser you use may provide you with the ability to control cookies or other types of local data storage. Your mobile device may provide you with choices around how and whether location or other data is shared with us. BistroChat does not control these choices, or default settings, which are offered by makers of your browser or mobile device. With consent, to comply with legal process, or to protect BistroChat and our users. When we have your consent or if we believe that disclosure is reasonably necessary to comply with a law, regulation or legal request; to protect the safety, rights, or property of the public, any person, or BistroChat; or to detect, prevent, or otherwise address fraud, security or technical issues. If we receive a law enforcement or other third party request for information we will provide prior notice to the subject of the request where we are legally permitted to do so. For more information on BistroChat’s policies for responding to requests for user data, please see our User Data Request Policy. Integrations. If you add an integration, BistroChat may share information about you or your user with the provider of the integration. BistroChat is not responsible for how the provider of the integration may collect and use your data. About you with your organization or user administrator(s). We may share your email address and user name with your organization. If the email address under which you've registered your account belongs to or is controlled by an organization (to be clear, we’re not talking about free web-based email providers like Gmail, Hotmail or Yahoo! Mail) we may disclose that email address and associated user names to that organization in order to help it understand who associated with that organization uses BistroChat, and to assist the organization with its enterprise accounts. Please do not use a work email address for our services unless you are authorized to do so, and are therefore comfortable with this kind of sharing. In addition, there may be times when you contact BistroChat to help resolve an issue specific to a user you are a member of. In order to help resolve the issue, we may need to share your concern with your administrator. When possible, we will try to mask or remove any identifying information before sharing these communications. As described above in the Message Retention Settings and Export Option section, user owners and administrators have certain rights to export their user's messages and files. BistroChat takes reasonable steps to protect information you provide to us as part of your use of the BistroChat service from loss, misuse, and unauthorized access or disclosure. These steps take into account the sensitivity of the information we collect, process and store and the current state of technology. When you enter sensitive information (such as sign-in credentials) we encrypt the transmission of that information using secure socket layer technology (SSL). We follow generally accepted standards to protect the personal data submitted to us, both during transmission and once we receive it. However, no electronic or email transmission or digital storage mechanism is ever fully secure or error free. BistroChat is not directed to children under 13. If you learn that a minor child has provided us with personal information without your consent, please contact us. We may change this policy from time to time, and if we do we’ll post any changes on this page. If you continue to use BistroChat after those changes are in effect, you agree to the revised policy. If the changes are material, we may provide more prominent notice or seek your consent to the new policy.